Employers recognize the importance of keeping their employees happy and energized without having them leave the facility to go wait in line for a cup of gourmet coffee or hot beverage. Happy employees are productive employees. Companies are starting to see that creating positive, relaxing environments for employees will lead to greater productivity and longer tenure. Companies all across the country are starting to offer more incentive packages such as paying for you to take a vacation, free food, work from home hours and even longer maternity and paternity leave time. While many of those take time to cut through the red tape, there is still one simple way to really make an impact now for your employees; an office coffee station. 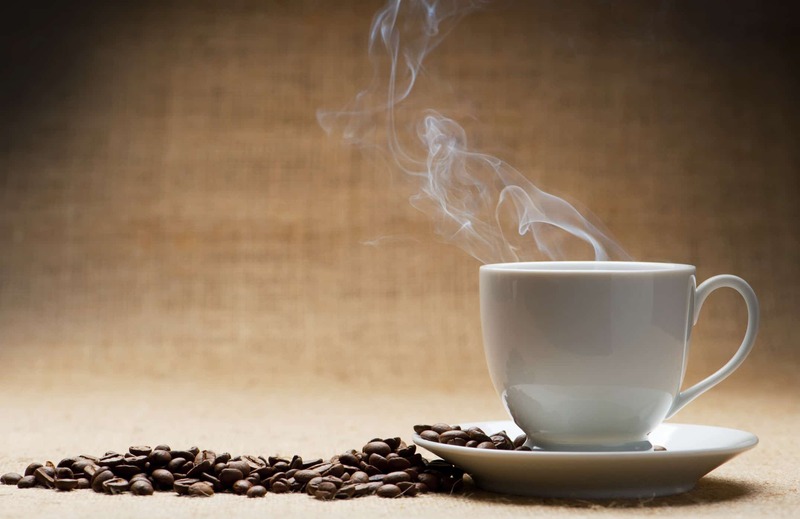 Our previous blog post discussed 4 surprising health benefits of coffee consumption. The Java Geniuses are back this week to pour some more useful health information into your pot of knowledge. Here are 4 more ways coffee doubles as a mental and physical treatment for your office. People rely on their coffee to kick-start the work day, but they usually settle for whatever caffeine-generating machine is closest. If they had their choice of workplace perks, surely a coffee service carrying the sweetest scents of gourmet coffee would be at the top of their list. If you’ve ever had a coffee delivery service, you’re probably familiar with the delivery, set-up, and re-stock routine… There’s inventory to be checked, machines to be inspected, coffee to be customized. Coffee delivery can be a very technical process – which leads many people to forget all the “under-the-hood” magic these java experts provide. A coffee service doesn’t just stock your sugars, file your paperwork and set up your equipment. They aren’t just providing you with a standard business trade. A coffee delivery service, when they replenish your java and fix your espresso machine, is actually spicing up your office atmosphere, satisfying your employees, and giving you continual peace of mind. Don’t see it? Think of coffee service as an optical illusion: There are different ways of viewing it, and if you’re only focused on what’s directly in front of you – a product delivery – then you’re missing the greater significance. Just as with anything existing on this dense physical plane, we can only make out the deeper meanings if we adjust our vision. Here’s what you’ll see when you look beyond the tangibles of a coffee delivery service, and into the heart of the matter. A coffee service carries all different types of creamers, sugars, machines and, of course, gourmet coffee. This variety promises staff something they crave on a daily basis: choice. Whether they’re deciding which route to take on their morning commute, picking out their socks, or choosing the coffee they’d like in their cup – human beings like options. In fact, we feel trapped without options. In a work environment, where so many of us are held under tight scrutiny from upper management, a coffee bar can be just the thing to liberate our mental confines. Variety leads to choice – an open buffet of gourmet blends. Coffee personalization is an intimate and intricate system of choice. Not only do you have the options sprawled out in front of you, the exhilaration of freedom swept upon you; but you get to pick and choose which options fit you. Do you want a sweet, simple, Hazelnut roast? Or do you prefer the spicy blends of pumpkin? Do you feel like mixing it up today? The personalization offered by a coffee service is not only fun, it’s empowering for employees. This should go without saying for all coffee delivery services – but we’ll say it anyway: A gourmet coffee service brings you quality coffee. They don’t run out to the grocery store. They don’t have an assembly line of grinder and baggers. A coffee delivery service works with a specialized team, who think, work and breathe coffee. These blends are analyzed, inspected, and carefully refined. What is delivered to customers, is a package of thought, time, energy, heart, and delicious, scientific creativity. With a coffee delivery service, you don’t have to worry about coffee, or creamer, or employees protesting over empty pots. A professional java team makes sure your office coffee thirst is satiated at all times by fine-tuning inventory and making on-time deliveries. So your employees won’t fuss over coffee losses, you won’t have to take on the added stress of re-stocking, and an overall “zen” will fall upon the office. When coffee is secure, comfort is elevated. We have a habit of only seeing what’s directly in front of us, and, unfortunately, this leads us to underrate some of the most beneficial things in our lives. A coffee delivery service offers much more than a wealth of coffee and supplies. When you take off the commerce hat, you see another process involved – a human one. One that goes beyond tangible supplies and touches intangible values. These are the qualities you receive in a coffee delivery service – along with that delicious pumpkin spice blend. Are you ready to take another look at office coffee service? Our Java Geniuses are waiting to concoct your ideal beverage station. Call 866-452-8228, or click below, and give your workplace new depth and breadth with a coffee service that cares. There is more to office coffee than hitting the “brew” button – find out if you’re pouring unnecessary time into the workplace beverage station.